Xbox 360 is the successor to Xbox video game console from Microsoft. It was referred to in the past as Xbox Next or Xbox 2 or simply Project Xenon. Microsoft has scheduled its launch just before Christmas of 2005, the biggest shopping season although it was unveiled on 12.05.2005 on MTV. Xbox 360 is an answer to Sony's PlayStation 3 and Nintendo's Revolution game consoles. Xbox 360 video game and entertainment system as it is fully known as would usher a totally new era of high definition digital entertainment which is personalized and connected always. The Xbox 360 comes with: Xbox Gamer Guide: An entertainment gateway that connects to your games, movie, friends, music and available downloadable content. The Xbox Guide Button, a one touch interface gives you instant access to content you want, be it the gamer card of the player who just invited you to play, or to new downloadable content for the game you are currently running. Xbox 360 lets you create your own customised system for a unique experience. 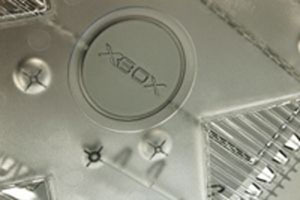 With changeable facia plates, it is very easy to change the make up of your console. Power on your system and you can customize the look and feel of the System Guide and Gamer Guide with various unique skins. The faces and skins can form a unique combination to reflect your personality. The Xbox 360 console is divided into four glowing quadrants which are also collectively called the Ring of Light. This Ring of Light, along with the Xbox Guide button controls the entire system. The guide button visually connects you to your games. The Guide button apart from connecting and controlling your experience also controls the startup and shutdown of the system. . The Xbox 360 supports both wired and wireless controllers and accessories by the virtue of which all operations can be controlled from the comfort of your couch. Xbox 360's Xbox Live is where games and entertainment come alive. This is a unified interface where you can play with anyone, anytime anywhere. By connecting your Xbox 360 to a broadband internet connection, you can instantly access Xbox Live Silver, to announce your digital identity via your gamer tag or gamer card. You can talk to others using voice chat, and access the Xbox Live Marketplace - all right out of the box, at no extra cost. When you upgrade to Xbox Live Gold, you get access to the ever exciting world of online multiplayer gaming. By using intelligent matchmaking, and accessing all your achievements and statistics, Xbox Live Gold brings you nearer to your competition at your terms. Xbox 360 redefines the whole gaming experience in terms of what they look like, sound like, feel like, and play like in order to engage you like never before. All Xbox 360 titles have resolutions of 1080i and 720p resolution in 16:9 widescreen formats, anti-aliasing support for movie-like graphics and of course, multi-channel surround sound. Not to mention you can amplify your music, photos, video, and TV. You can watch DVD movies in the comfort of your couch. Xbox 360 also supports progressive-scan DVD's. The Xbox 360 hard drive can be used to rip music and share your latest albums and pictures with friends and family. A successor of the Xbox gaming system, Microsoft's new Xbox 360 and its unique line of Xbox 360 system accessories extend your digital entertainment experience beyond the console. A never before feature - Xbox 360 is centralized around gamers. As a fully customizable design, Xbox 360 gives you the freedom of changing the look of the console to reflect your tastes and personality. The face plates like most Nokia Cellular phones can be changed with extreme ease to express your moods or your sense of style. Interchangeable faceplates allow you to create a unique system. Find cool, swappable and changeable cutting-edge designs. Faceplates come in a lot of varieties and designs. Regardless of chosen faceplates, the system remains fully functional. Xbox 360 comes with a 64MB memory unit to further enhance your gaming experience. This memory unit facilitates you to save the in-game achievements and gamer profiles. These units are portable and enable you to start off from where you left quickly and easily. You can easily carry around the Memory Unit in a carrying case which is extremely portable and can fit on a keychain. This memory unit is absolute plug'n'play. Xbox 360 can hold up to two memory units, thus making it upgradeable. The Xbox 360 Universal Media Remote is designed in such a way that it becomes an integrated control center for the entire Xbox 360 system. The Media Remote facilitates your entry into the world of digital entertainment by the touch of a single button. Play DVD's, music, control your TV and your PC with a single integrated controller. This option is to let you kick back, relax, and enjoy the ride. The Xbox Live Camera for Xbox 360 lets you video chat and message with your friends and gives up the true gaming and entertainment experience. As an integrated part of Xbox 360's Xbox Live experience you can connect and communicate with friends while playing, listening to music or watching movies. When you play motion-detection-enabled games online the Xbox live camera inserts you into the game and helps you control the characters. XBox 360 Modchips will be available shortly after the release of the XBox 360 at www.cheapmodchips.net, who guarantee the lowest prices and quickest service on the web! These will allow your XBox 360 to host even more features and the ability to backup games!